Personalized lighting is an exceptional touch to any event. Lighting available in Single monograms, 3 Letter monograms or Full Names. Custom Designs also available. 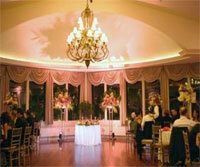 Uplighting is a great way to give your event the “WOW” factor, lighting is available in various colors.